Postharvest Fresh has developed a system that enables nuts, such as chestnuts, to be stored in in high quality condition for up to one year, rather than the few months currently possible. Chestnuts have a brief harvest period of a few weeks, but are sought after by consumers throughout the cooler months of the year. Unfortunately, chestnut quality during storage is compromised due to the occurrence of black surface mould. 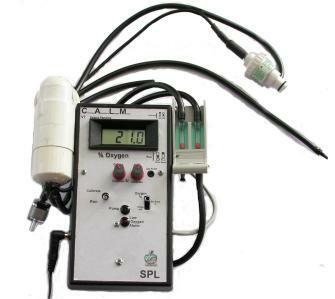 The basic principle of the CALM technology is storage under high carbon dioxide with sufficient oxygen levels maintained. Each CALM unit can be used to store 1-4 bins (400 to 1600 kg or 0.45 to 1.8 tons) of chestnuts. After harvest, excess moisture is removed and bins are sealed on a pallet base within a plastic sleeve. The CALM unit is then attached to the bag via an air-tight interface with an oxygen sensor and tubing going through the interface to provide adequate fresh air to the chestnuts and to maintain the ideal storage atmosphere (see photos). CALM is powered by l2V DC power, so that only safe low power cables occur within the cool rooms. Besides Sydney Postharvest Laboratory, the technology is also owned by Horticulture Australia (on behalf of Australian chestnut growers). 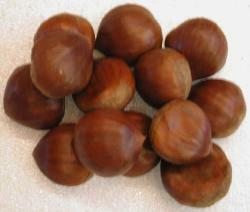 It is recommended that the technology be used as part of a complete handling and storage protocol (Postharvest Handling and Storage Protocol for Chestnuts). Chestnuts store well with very little mould development under the high carbon dioxide and low oxygen atmosphere controlled by CALM . The CALM system is as effective as the best fungicide control, but without the use of any chemicals. Storage of nuts for up to 12 months (in excellent condition) is now achievable, compared to about 3 months, previously found to be the commercial storage limit. "the nuts were in excellent condition when we removed them from the unit on Nov. 25. We sent out well over 200 orders from that tote and received not one single complaint about bad nuts. This has never been the case before. ... Our goal was to pay for the unit with the savings achieved in having good nuts to ship in late November-December. It not only did that but paid for our trip [to Australia] as well. ... We are sold on the CALM unit." Article about development of CALM technology and results. You will need Adobe's Acrobat Reader to view the PDF files. (The CALM technology is available most countries, with distribution restricted in some countries under the license terms with HAL. These restrictions are based on providing Australian growers with an advantage in the global market. 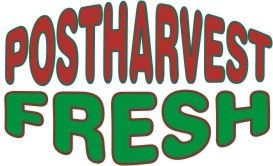 - or by requesting an invoice via email pf@postharvest.com.au or fax (give postal and fax details). It is recommended, especially when running multiple units, that a spare pump(s) be purchased and also a spare DC power supply.